Are your frustrated leading or participating in groups that aren’t working very well together? By their very nature, groups are tough to lead and facilitate. Groups are entirely different entities than the sum of the individuals involved. Getting the results you want takes far more than simply bringing a bunch of smart people together. But there are ways to deal with each and every situation you encounter. Once you understand group dynamics and leadership, you’ll transform your problems with groups into opportunities and enjoy the satisfaction of achieving greater results that comes with being part of a high functioning team. If you know you’ve got more to learn about how to get the best results from your groups, we can help. We’ve distilled the collective wisdom of thousands of change agents into a collection of easily accessible group leadership tools, training, and resources that even those with little experience can use to help lead groups to accomplish great things. Join the FacilitatorU.com! Whether you’re an official group leader, facilitator, trainer, consultant, coach, or even a group participant, become a member of this network and receive the training, tools, and resources you need to get the results you’re after in your groups. We offer three different membership options outlined at the bottom of this page. Are you interested in facilitation, training, or group leadership? Yes? 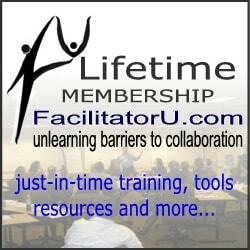 We invite you to join the FacilitatorU.com community. Save a significant amount of time, travel expenses, and training costs by tapping into all of our “just-in-time” training, tools, and resources from the comfort of your own home or office. Access an increasing array of tools, training, and resources to support your work with groups. Tap into a community of fellow facilitators, trainers, group leaders, and change agents for collaboration, learning, and support. The wisdom and experience of a growing number of recordings of specialized experts in the field. 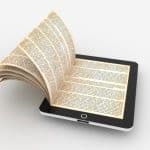 Use our articles to augment your training programs and group work. 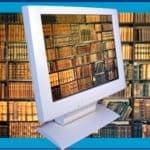 Access a growing library of online tools, ebooks, and other resources to make your job easier. Make yourself visible to others who visit this site looking for your talent. Keep your skills up-to-date and your passion enlivened with regular contact with other change agents leading positive change and constructive action worldwide. Click here to review what clients of FacilitatorU.com have said about our products and services. Here are the benefits you’ll receive as a member of FacilitatorU.com. These selections will increase over time as our collection of teleclasses, interviews, learning guides, and other products grow. Virtual Training. As a FacilitatorU Premium member, you’ll receive 50% off the retail price of any live or recorded multi-session teleclasses offered. Value: Receive training in facilitation, leadership, and training from your home or office saving time and money otherwise spent on expensive travel. Interviews/Webinars. Free attendance in live webinars and interviews on a growing number of provocative topics of interest to group workers. 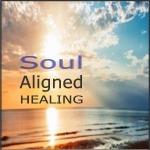 Includes free access to audio recordings and notes. Value: Stay current in developments and best practices in facilitation, leadership, and training. Interact with to experts from your home or office. Value: Printable articles to share with students, peers, clients, etc..
Facilitator’s Checklists. 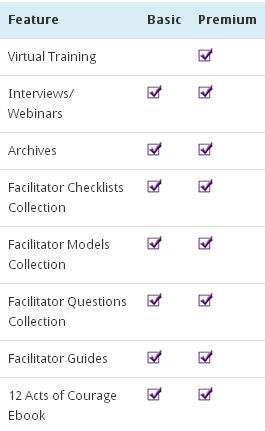 25+ Checklists on many aspects of facilitation such as agenda development, intervention, participation, processing, etc. Value: Running a group can get complicated and there’s lots to forget. These handy checklists can really help refresh your memory and add to your effectiveness in no time. Facilitation Models. 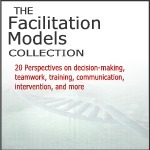 Access to a 20+ models that can be applied by facilitators and trainers. Value: A good model that fits your style of leadership and your particular situation can be priceless. It’s like finding a map you’ve been searching for and finally finding it. Facilitator Questions. 20 sets of questions grouped according to the many themes upon which groups typically focus. Use these lists in preparation for working with a group or use them as catalysts for the development of your own questions. Value: One of the greatest tools we have as group workers is “the question.” A well-crafted question, dropped at just the right time, can shift the course of action in significant ways. Facilitator Guides. 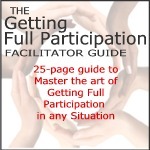 Access growing list of Facilitator Guides covering major aspects of facilitation such as participation, intervention, learning facilitation, the inner game, business development, marketing, conflict resolution, and more. Value: Instant access to a growing number of e-books focused on facilitation specialties to answer your questions and build your skills. This is our latest ebook designed to empower meeting participants with 12 Acts of Courage they can use to change meetings for good. Includes all features listed in table above. live and pre-recorded audio teleclasses. Discounts to the already low priced plans above are available for group rates for your organization.